The trailer of Karan Johar’s “Student of the Year 2” is finally out and going by the trailer, we can say that the movie is all about competition, complicated relationships and fights between the youngsters. While Tiger Shroff is playing the male lead in this flick, two beautiful actresses Ananya Panday and Tara Sutaria are making their debut with it. In the film, Tiger appears to be playing the character of an ambitious guy who wants to win the Student Of The Year title, Tara is also determined to win the dance competition as it will guarantee her bright future while Ananya is a spoiled and arrogant brat. Just like the first part, the sequel also seems to be quite engaging and appears to have all the masala youths of today look for. As Tiger is playing the main lead, you can be sure of watching some amazing dance sequences as well as mind-blowing action scenes but will these pretty girls manage to impress the audiences and critics? Let’s wait and watch! 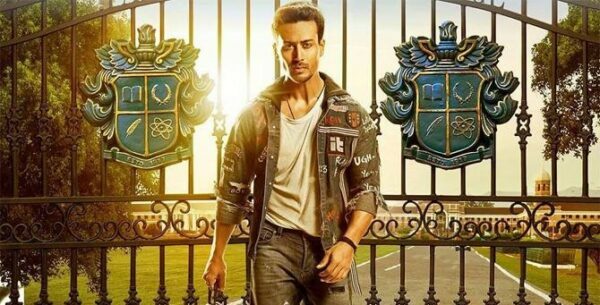 Directed by Punit Malhotra, “Student of the Year 2” will release on 10th May and it is also being said that the legendry Hollywood actor Will Smith will be doing a cameo in it. This movie is a sequel of Varun Dhawan, Alia Bhatt and Siddharth Malhotra starrer “Student of the Year” which was one of the biggest hits of its time. How did you find the trailer? Are you going to watch the movie? The post Student Of The Year 2 Trailer Out & Tiger Shroff Looks Promising. One More Blockbuster On The Way appeared first on RVCJ Media.